autop is one of the leading manufacturers of hydraulic inground vehicle lifts and Stenhøj is known throughout the world as a leading manufacturer of surface-mounted lifts, air compressors and hydraulic presses. 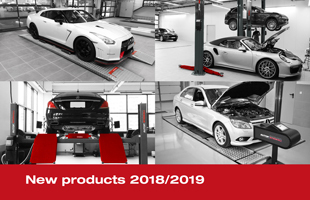 More than 480,000 workshop equipment products worldwide have been in use for decades, proving the two brands product quality, longevity and reliability. AUTOPSTENHOJ is a premium global brand, offering the best overall experience to the premium workshop equipment market. AUTOPSTENHOJ does not only claim to be premium, but illustrates and proves this every day! offered through a global partner network with premium solutions, to make sure that all AUTOPSTENHOJ customers profit from the best experience during the entire product life cycle.